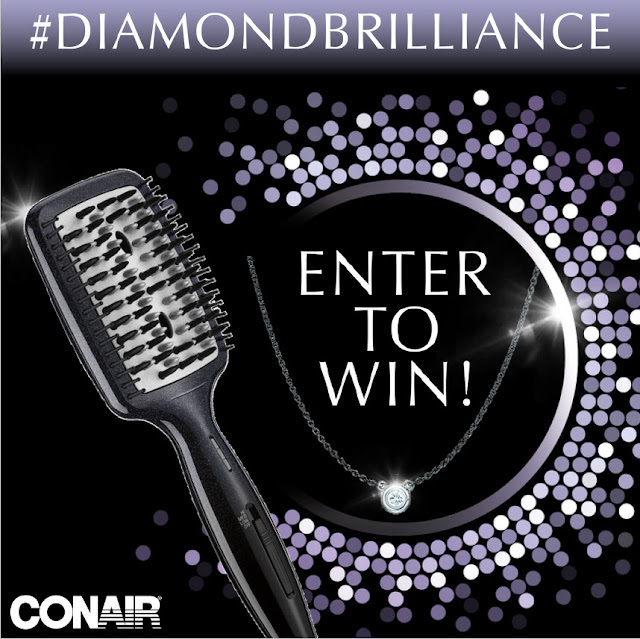 Conair wants you to enter once for the chance to win an Infiniti PRO by Conair Diamond Brilliance Smoothing Hot Brush and a Tiffany & Co. sparkling diamond pendant necklace! One (1) grand prize winner will receive the Infiniti PRO by Conair Diamond Brilliance Diamond-Infused Ceramic Smoothing Hot Brush ($49.99 USD) and a Tiffany& Co diamond necklace (Elsa Peretti® Diamonds by the Yard® pendant in sterling silver., .07 carat, $475.00 USD). Three (3) runner-ups will each receive the new Infiniti PRO by Conair Diamond Brilliance Diamond-Infused Ceramic Smoothing Hot Brush ($49.99 USD). This Sweepstakes ends on 11/18/16 and you can ENTER ONCE to win.